Akira has completely redesigned the definition of a sconce that has typically been used in lighting products for generations. The exquisite unique shape of glass that has replaced the standard flat dish is simply amazing and substantial. Combined with square framework and square shades the contrast is perfection. This range is available in polished chrome with either cream or black shades. 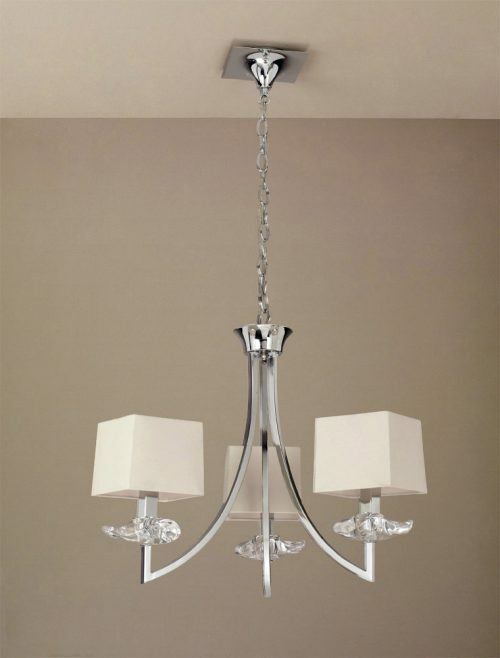 The dual level double table and wall light also provide a refreshing change to traditional designs. Akira is redefining and fresh but set to be a timeless range.